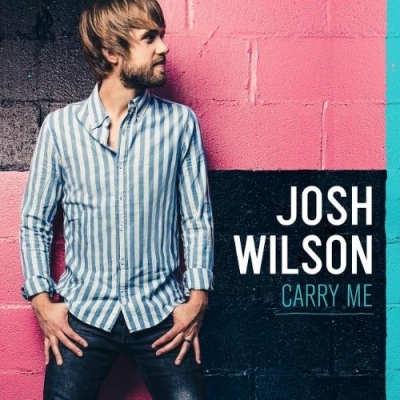 Singer/songwriter Josh Wilson has released his latest album 'Carry Me'. Produced by Matt Bronleewe (Chris Tomlin), each of the dozen songs stand out for its rhythmic contributions coupled with the addition of strings and woodwinds to Wilson's assuring voice. "I've pined over lyrics, obsessed over melodies, and spent hours and hours in the studio bringing new songs to life", explains Josh. "I'm really proud of this record. My goal was to try for new sounds, while staying musically grounded in who I am. I've been more vulnerable in my writing, and more personal in my storytelling, really putting my heart out there, in hopes that someone is able to relate, to say 'hey, me too'." Known for being one of the top pop songwriters and author of 3 Number 1 hit singles and over 200,000 career album sales, Wilson has been living up to his well-earned reputation as 'the future of Christian pop' since his 2008 debut 'Trying To Fit The Ocean In A Cup'. The new album features first single and title-track 'Carry Me' which once again exhibits Wilson's gift of relating the challenges of life and the need for a Savior like no one else. The song is a simple, honest prayer asking God to hold on to our fragile hearts - a prayer Wilson has voiced repeatedly since first experiencing severe anxiety and panic attacks. These vulnerable times reminding him that he is not in control no matter how hard he tries. "All I can do in those moments is pray," Wilson shares, "and I'm thankful that coming to the end of myself has brought me so close to a Father and Savior who loves me and will never leave me."